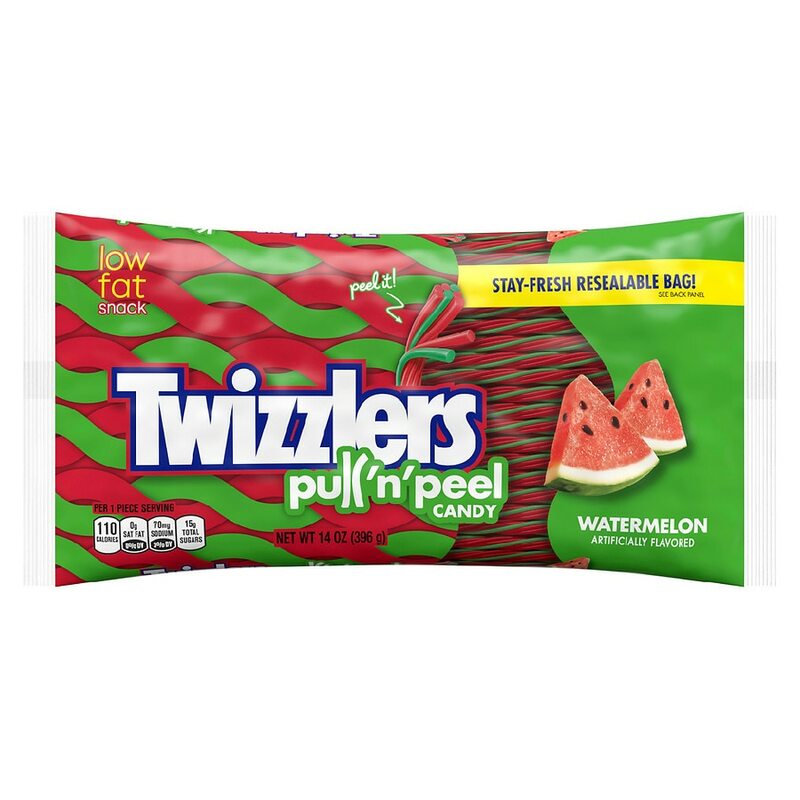 Good luck peeling yourself away from Twizzler's Pull N' Peel Watermelon Candy! Each bag of watermelon-flavored, chewy fun is perfect on its own or for delicious edible crafts and party decor. Stock up for home and work so you're never without this twistacular snack! Good luck peeling yourself away from Twizzlers Peel N' Pull Watermelon Candy! Each bag of watermelon-flavored, chewy fun is perfect on its own or for delicious edible crafts and party decor.